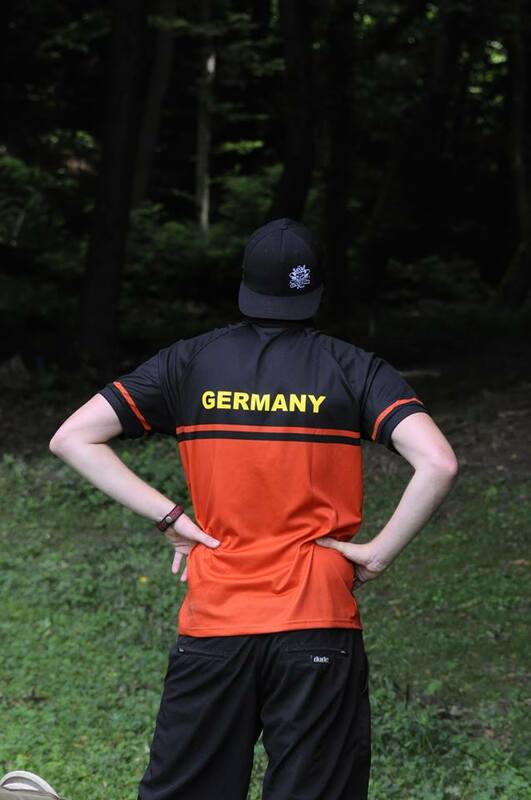 Simon Lizotte’s third round effort at the European Disc Golf Championship was a bogey-free, 1055-rated 9-under par 51. This puts him six strokes above the second-place Finn Väinö Mäkelä, whose twin 9-under par 51 efforts from Thursday and Friday have moved him up from 15th place after the first round to second heading into the final day. Lizotte’s overall score is a 26-under par 154, six strokes better than Mäkelä’s 10-under par 160. Two other Finns fill out the top four. Seppo Paju slipped from second to third today after throwing his weakest round of the tournament—a 1013-rated 4-under par 56. He is sitting just one stroke back of Mäkelä with a 19-under par 161. Just behind Paju is Teemu Nissinen at 17-under par 163. He also finished his third round with a 4-under par 56. 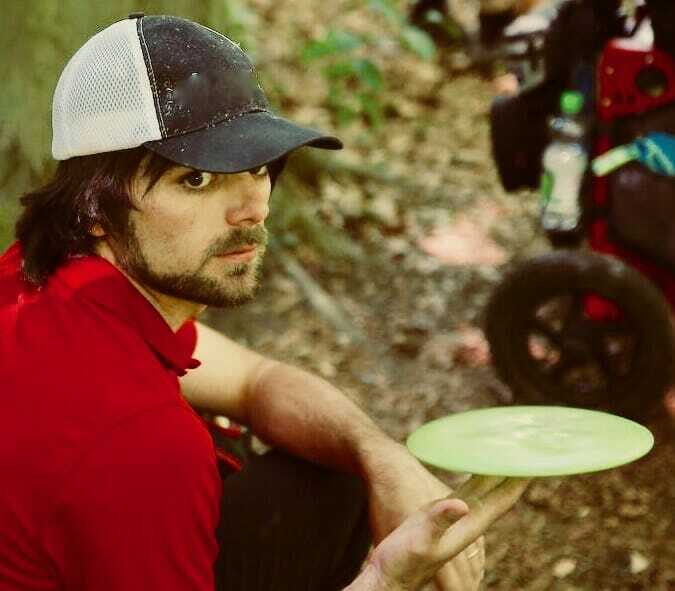 Lizotte’s comments about his third round in Croatia—this year’s EDGC host country—showed both satisfaction with a job well done as well as a nod to the fickle nature of disc golf. He also said that his “putting has been really solid” and he hasn’t felt like he’s missed any must-make putts. When asked if he was excited about the chance to be the European Champion again, Lizotte’s answer was unequivocal. “I came all the way for one reason only—to get my title from 2012 back,” he asserted. However, he holds no illusions that the title is already his. When asked what score he thinks he’ll need to secure the win, Lizotte said 6-under par. A side note for those who have read our previous coverage: Lizotte parred his nemesis hole 11 today. When talking to Mäkelä, he expressed that though he started his tournament off on the wrong foot, he feels like it’s been going smoothly ever since. On the front nine he’s referring to, he played 4-over par, taking a double bogey and carding four normal bogeys (along with two birdies). A testament to the vast improvement of his game is that after that first front nine he carded only two other bogeys in his next 45 holes of the tournament. With things going his way over the last two rounds, Mäkelä’s plan for tomorrow isn’t a complicated one. I also asked if he considered his game plan for tomorrow to lean towards aggressive or safe play. “Well, I’m trying to birdie all the holes besides one and three, so maybe aggressive?” he quipped. Paju, like Pasi Koivu yesterday, suffered a very hard start to his round—missing the first hole’s mandatory and through further misfortune carding a triple bogey to start the day. Given that both Koivu and Paju suffered the same fate on the lead card on consecutive days, I asked Paju whether he found the drop zone to be in a difficult position. Without those three strokes, Paju would’ve retained his previous position of second place. Nissinen also faced a rough start to his day, playing 2-over par on the front nine. But the resilient Finn was pleased with how he dealt with the adversity. Strong indeed. He played 6-under on the back nine. When asked whether he was eyeing a spot on the podium, Nissinen demurred. Based on the scoring so far, it’s unlikely that anyone outside of the lead and chase cards has a chance to get to the podium tomorrow. The chase card is made up of Finns Pasi Koivu (16-under par 164), Jalle Stoor (15-under par 165), Leo Piironen (15-under par 165), and Estonian Silver Lätt (15-under par 165). Comments on "Lizotte Opens Up Sizable Lead Before EDGC’s Final Round"